Mumbai: Get ready for a stunning spectacular aerial view, watch the unique cityscape and glare at most pulsating city as on the occasion of World Tourism Day Maharashtra Tourism Development Corporation (MTDC) along with Girisons Airways starts Heli Tourism in Mumbai. 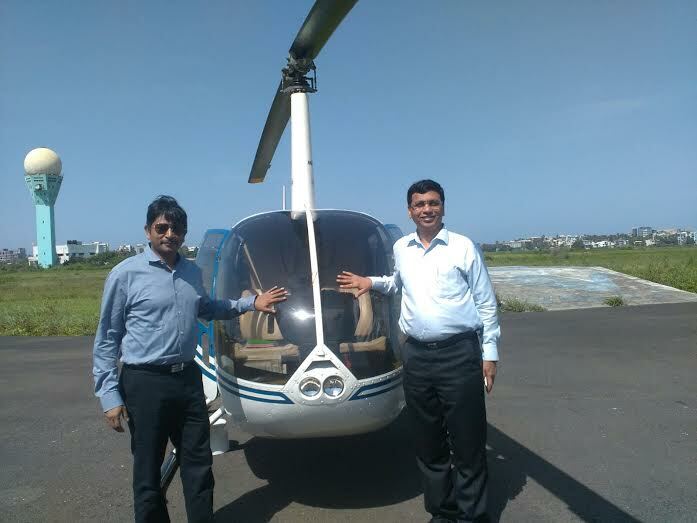 The helicopters will operate from Juhu airport every Sunday for 15 minutes at the cost of Rs 3939 excluding taxes and take tourists on a mesmerising ride ever. Paraag Jaiin Nainuttia, Managing Director, MTDC at the launch said, “Mumbai has the most amazing skyline, an impressive and breath- taking view. There are many tourists’ spots which look outstanding from an aerial view. The idea is to provide an enthralling experience to the tourists and boost potential tourism in state. Mumbai attracts a lot of foreign and domestic tourist and Heli – Tourism will definitely help in increasing the footfall”. The special Mumbai Darshan tour via helicopter focuses more on tourists who have less time in hand to explore and want a quick glimpse of Mumbai. Heli-tourism is popular in hilly areas like the North East and the Himalayas, which are not easily accessible. This will be the first time it will be offered in a metro city like Mumbai. These Helicopter Tours to be performed on a regular basis are being introduced for the first time in India. Initially the Mumbai scenic tours are being introduced which will be followed by helicopter tours to Elephanta Island, Ajanta Caves, Ellora caves and later also to Shirdi. Bookings can be made at Girisons Airways reservation number 22889977/ 22889988 or at MTDC reservation office. Government issued photo identity will be required to make the booking and at the time of check-in at the airport.